Welcome to TrulineGraphics.com. Started in 2003, our business has continued because of great customers. Everything you order from our website is custom made just for you. Our guarantee is that we will make your custom orders quickly and correctly. Beyond the products, we have expert designers on staff to help you create a custom design. 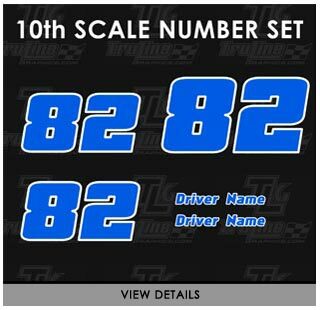 Our shop specializes in racing graphics for everything from 10th scale R/C cars to full size scale stock cars. Whether you need autocross decals or a wrap for your stock car, we can help. Our vinyl is the highest quality built to withstand 5-8 years of outdoor use, maybe even more depending on your application. We offer outdoor vinyl banners with full color printing with quick turn around times as well. 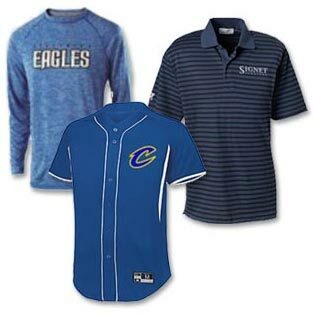 We offer custom team jerseys for youth sports. This includes football, soccer, baseball, golf, warm ups, team bags and more. 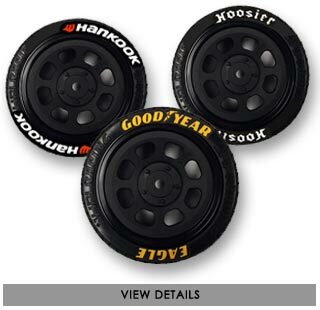 We have the major brands that you are looking for and can custom make virtually any kind of logos for your team. If you are looking for branded company shirts, we offer hundreds of different styles of polos to oxford style button ups.